How “Aware” of Insurance Are You? Wedged between Flag Day and the Fourth of July is the summer holiday you probably didn’t know you needed: Insurance Awareness Day. That’s right—June 28 is the day Americans are encouraged to educate themselves on their current policies and make sure they’re getting the coverage they need. We’re not totally sure what constitutes an appropriate way to celebrate this annual event (would streamers and balloons be overkill? ), but we do know the day is a great excuse to get familiar with the ins and outs of insurance and feel confident that you’re covered. While Insurance Awareness Day may not get the same Hallmark treatment as some other national commemorations, the holiday is worth recognizing. After all, according to a survey from car insurance comparison marketplace, The Zebra, 81 percent of consumers say they have the coverage they need, but 99 percent failed to correctly identify 10 basic coverage types and terms. Potentially more shocking? Twenty-two percent of respondents didn’t even realize they’re required by law to have car insurance. Scary, right? You may know a thing or two about car insurance (or you may be part of that twenty-two percent—that’s okay! No judgment!). No matter how much knowledge you think you’ve got, it’s always a great idea to brush up on the basics and feel safe, secure, and satisfied with your coverage. While most people do know they need car insurance, far fewer probably know why. Like any other kind of security, car insurance protects you (and your passengers) in case of an unexpected incident, like an accident, theft, damage, etc. 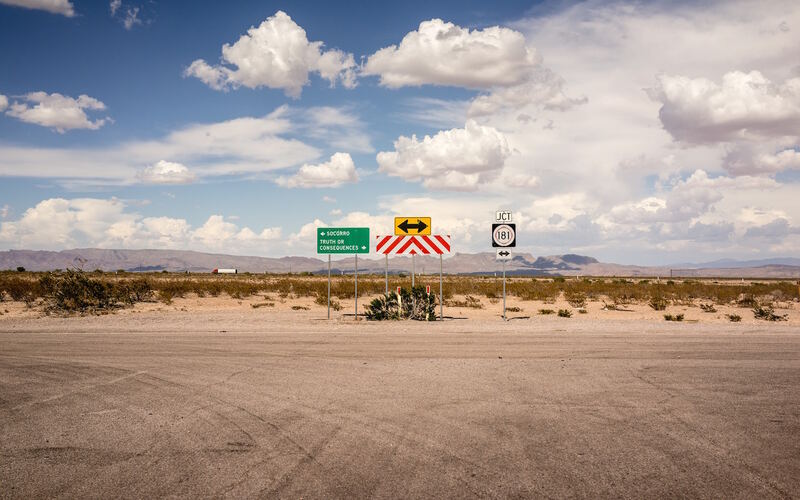 Every state requires drivers to have some kind of insurance plan, but the specific requirements vary based on location. Regardless of where you live though, the local law does require you to prove you can pay damages in the event of an accident. It seems straightforward, but car insurance can get a lot more complex than that. There are various types that offer different levels of protection; some are required and some are optional. Understanding the factors that go into determining the type of coverage you need can help you find a plan that’s got your back at a premium that won’t break the bank. Declaration page: This refers to the first page (or several pages) of your policy that states the name of the person insured, their address, the insurance provider, the policy term, coverage limits, and other key facts about the plan and who it’s covering. Bodily Injury (BI) coverage is required by most states to cover costs related to injuries or deaths to other people in the event of an accident that’s your fault. Property Damage Liability (PD) covers the cost of damages to someone else’s property if you’re at fault in an accident. Uninsured Motorist Bodily Injury (UMBI) covers you in an accident if other driver is at-fault and uninsured. Underinsured Motorist Bodily Injury (UIMBI) is very similar to UMBI but pays up to the limit for expenses in case the other driver is at-fault for the accident but can’t cover your costs because of their own plan’s insufficient liability limits. Medical Payments could pay the medical deductibles and copayments that aren’t covered by your health insurer, or the insurer of any of your passengers. Personal Injury Protection (PIP) covers your medical costs regardless of who’s at fault for the accident. Comprehensive coverage can be helpful if your car is stolen or damaged in ways that don’t involve a collision. Collision coverage covers you if your car collides with another object (like a car, a brick wall, a tree, etc). Collision Deductible Waiver coverage isn’t available in every state, but if you have it, your collision deductible will be waived in case you’re in accident with an uninsured at-fault driver. Underinsured Motorist Property Damage (UMPD) coverage pays for damages to your car if you’re hit by an uninsured or underinsured driver. Deductible: The out-of-pocket amount you have to pay after a covered event (like an accident, theft, or weather damage) before your insurance kicks in. It’s basically your financial responsibility in case anything happens. For example, if your car requires $5,000 in repairs, and your deductible is $1,000, you’ll have to pay $1,000 before your insurer will pay the remaining $4,000. Your car insurance deductible will be applied for each claim you file (unlike health insurance deductibles which apply across the calendar year). That means if you submit two car insurance claims in a year, you’ll have to pay your deductible both times. Premium: Your premium is the amount of money you pay your insurer to provide coverage for qualifying claims. The amount you pay is based on a variety of factors, including type and amount of coverage you want, the type of car you drive, your location, your driving record, your credit history, your age, your gender, and marital status. Claim: A demand made by the insured person for provide coverage and compensation from the insurance company in the event of a loss, subject to the terms of the insurance policy contract. Risk Assessment: This is how likely the insurer thinks it will be that you’ll file a claim, based on your driving record and other factors—this determines your rate. How much coverage do you need (and what’s required by your state)? What will your deductible be? Is your car leased or financed? Will you be driving for work? Still confused? We don’t blame you—auto coverage can be a thorny issue. To ring in Insurance Awareness Day this year, why not visit metromile.com? You’ll find lots more information and have the chance to get a free quote. Now that’s the perfect way to celebrate. If you’ve ever owned a car, you know the intimate bond that’s forged between driver and vehicle over time. You get to know this car — it’s your car. It might even have a name, a personality, a special skill (for example, my 1996 beauty goes by Lexi, she’s quirky but dependable, and she’s so scratched and dented, no one tries to mess with her). But when you don’t get behind the wheel often enough to merit a car purchase or you’re traveling far and need to leave the wheels behind, you might need to invest in a rental. And while a rented ride can be pretty sweet, it can also feel unfamiliar and kind of freaky. You never want to be uncomfortable on the road — tension and anxiety aren’t your allies when you’re trying to stay safe. 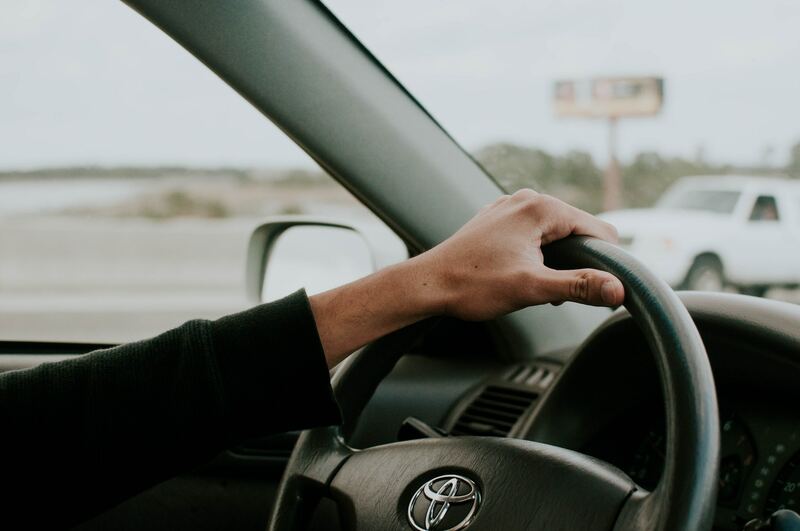 Luckily, practicing a few simple strategies when you pick up your rental can help you find your cool and feel confident in the driver’s seat. 1. Make sure your insurance plan includes car rental coverage. Most Metromile policies do transfer to rental vehicles, so if you’re a Metromile customer, you’re probably good to go. If you’re not sure what kind of coverage you have, contact your carrier ASAP and work out the details before you reserve your rental. Insurance is a must whether the vehicle you’re driving is yours or someone else’s — iron out the logistics ahead of time. 2. Inspect your car at the lot. You might be stoked to drive off into the sunset in your new ride, but don’t leave the lot without doing a thorough inspection of the vehicle. Take a look at the mileage, look for dings and scratches, and check the tires and fluid levels (and make sure that gas tank is full!). You might also want to open the trunk and make sure you have the correct tools to change a tire if necessary. 3. Cover the basics. 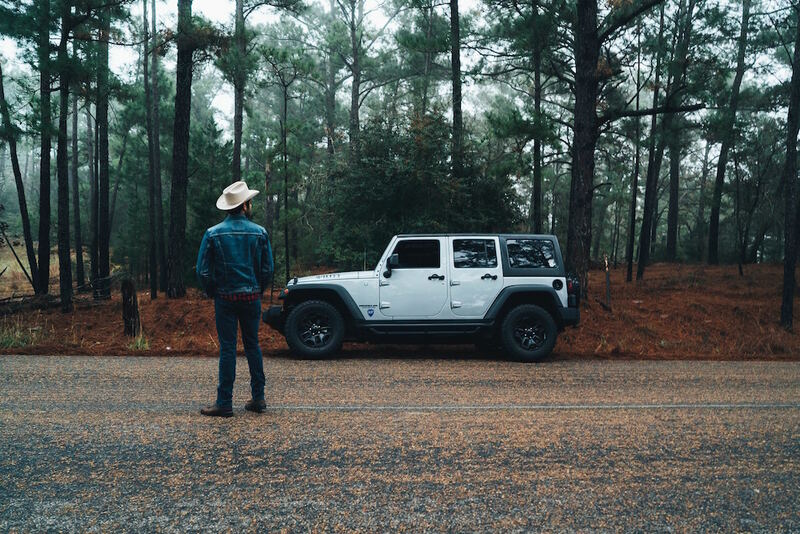 Before you drive off, talk to the rental agent about who you should contact if the car breaks down, you misplace your keys, or you mistakenly leave them in the vehicle. Be sure to write the contact information down and keep it on you at all times (storing the info in your phone is great, but what happens if you accidentally lock that sucker in the car along with your keys?). 4. Get familiar. Even if you’ve been behind the wheel since high school, all cars are different — your rental will likely have some quirks you’re not familiar with. Take a few minutes to adjust your seat and mirrors, locate the turn signals and light switches, and take a brief lap around the lot to make sure you feel confident. 5. As always, buckle up. It should go without saying, but seatbelts are a must, no matter which car you’re driving. Don’t forget to secure your belt before you go. 6. Study your geography. If you’re in a new area, be sure to take a good long look at a map, consult your GPS, and plan your route ahead of time. 7. Eliminate the distractions before you drive. If you know you’re going to want to listen to the radio or play music on your phone, figure out the technical logistics before you start the engine. Distracted driving is a major cause of accidents — stash your phone somewhere where you won’t be tempted to glance at it, and prepare to focus all your attention on the road. 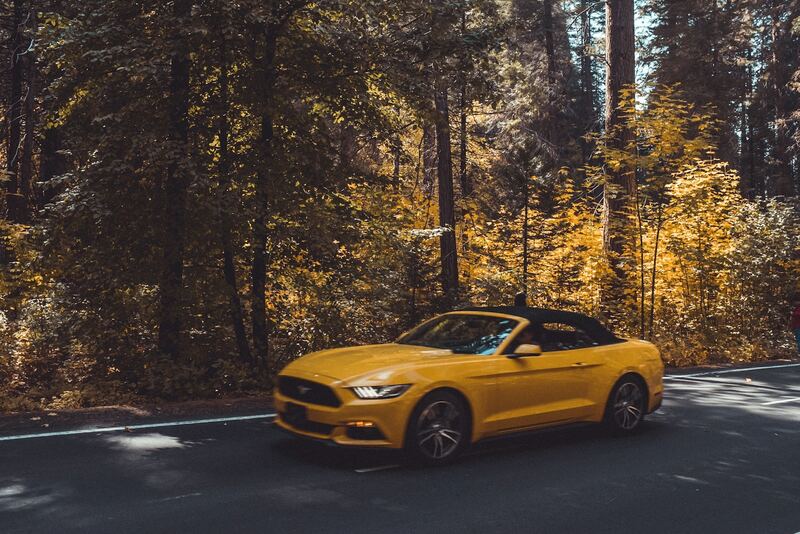 Whether you’re traveling for work or gearing up for an epic summer road trip, taking basic precautions will help keep you safe in your rental car. Need insurance coverage that will have your back, wherever you go? Visit www.metromile.com today for a free quote. 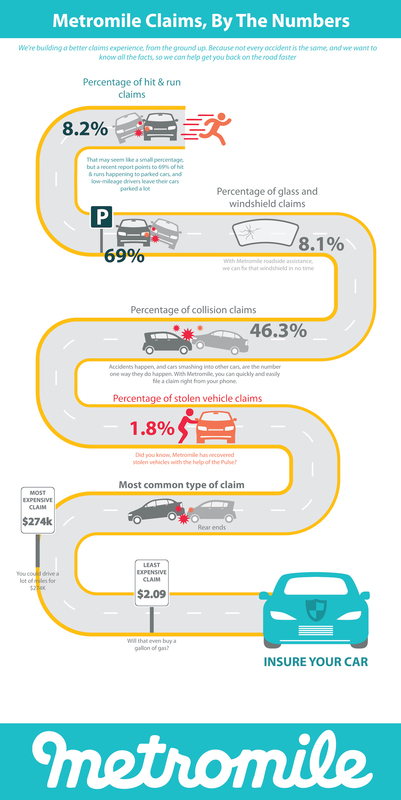 There were over 4.5 million car accidents involving property damage in the U.S. last year. And while not every accident turns into a claim, and not every claim is handled by Metromile, we still care. Why? Because we’re building a seamless claims process so that even the most minor fender benders can be resolved quickly and you can get back on the road faster. So today, we are taking a look at all the claims we resolved in 2017, and how the whole process was made simpler with the help of data, science, technology — and a little bit of magic. *Based on 2017 Metromile Claims Data. Want to learn more about our experimental approach to building a better claims experience? The best way to get to the truth of what low-impact and hit-and-run crashes would look like to the Pulse and AVA is to truly measure those collisions in the field. So that’s precisely what we did. We found a couple of used cars and put Pulse devices in them. Then we crashed them. Over, and over again. Hey, you know what’s worse than getting into any kind of car accident? Getting into a car accident and then worrying about how filing a necessary claim could affect your insurance rate. We’ve all been there, stressing over the potential consequences of what feels like a tarnished reputation. While you can’t predict exactly how your coverage may or may not change following a claim, it’s important to know the possibilities. Comprehensive coverage for things like vandalism, theft, and more. No matter what kind of coverage you have, the fine print matters: Be sure to review your individual policy and get familiar with the terms and conditions so you’re not surprised in the event of a post-accident premium hike. Another thing to note is that your coverage and any potential pricing adjustments also could rely on the accuracy of facts that you, as the insured, present to your insurer when you purchase your policy. It is critical to keep your insurer regularly updated about any changes – like additional drivers, or vehicle updates – to avoid any potential coverage issues or delays in claims processing. 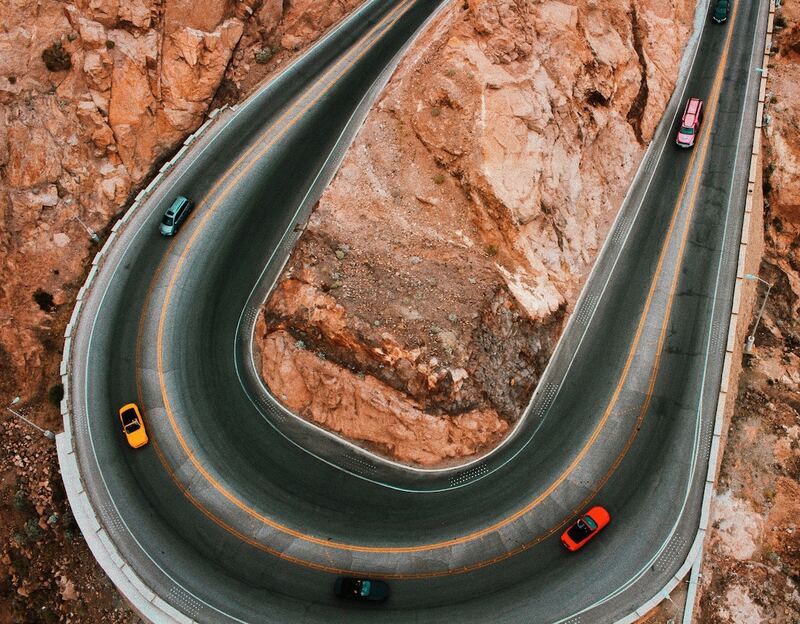 Your driving track record is really what insurers consider the biggest predictor of your future driving behavior, so the more claims you rack up, the more likely your premium is to rise, especially if you’ve been at-fault for accidents in the past. If you’re filing a current claim for an accident that wasn’t your fault, your insurer will take that information into account, but there no guarantees regarding your future rate. If you were at fault, however, you should know that certain behaviors are generally considered a lot more serious—and therefore more reprehensible—than others. Reckless or impaired driving, for example, may result in a major price increase (or even a cancellation of coverage, depending on the terms of your policy). Whether you’re rear-ended in a minor fender bender or involved in a major pileup as the result of your own actions, it’s essential to report the accident to your insurer. This will help provide your carrier with all the information they need to properly investigate the issue and do everything possible to protect you if the other driver involved files their own claim. The most important takeaway is to find an insurance provider who truly has your back. If you’re ready to make a switch, visit Metromile today for a free quote. Should I File a Claim with Their Insurer or Mine? You’re driving along, minding your own business (maybe singing along to some questionable throwback tracks) when bam! — another driver ruins your day. You’re fine, but now you have to deal with the aftermath of the accident. It’s clear to everyone involved that you were the innocent party in this scenario — so do you still have to file a claim with your insurer? It’s a common point of confusion for drivers, but there are some simple ways to assess how best to proceed so you can get back on the road and get on with your impromptu in-car karaoke sessions. There are two directions you can take after being involved in an accident where you are not at fault. If you have collision coverage, you can file a claim with your insurance provider. They’ll pay for the repairs to your damaged car, minus any deductible you have on the collision coverage on your policy. Your company will then pursue the other driver’s insurance company for reimbursement of the claim, including your deductible. This process is called subrogation. Using your own collision coverage makes sense when the other insurance carrier is unresponsive, has a coverage issue with their own insured or is completing a lengthy investigation. Your insurance company will be in a position to get your vehicle repaired and back on the road in a timely fashion and then subrogate for any monies paid out including your deductible. If you are not at fault for an accident, do not wish to pay your deductible or you do not have collision coverage on your policy, you can pursue your claim through the other party’s insurance carrier. The other carrier will ensure coverage is in order for their insured and complete a liability investigation to determine who was at fault for the accident. Once the other party’s carrier has accepted liability for the accident, they will handle your damages. They may require you to get an estimate of the damages to your car, work with you to identify a body shop or have you send them photos of the damage to your car. They will then pay for the damages to your car as well as pay for a rental car while yours is being repaired. Regardless of which company you decide to file a claim with, you should report the accident to your own insurer. Reporting the claim to your own insurer puts them in the best position to handle your damages should any delays occur with the other party’s carrier. Metromile policyholders should report all claims. Still have questions? Need coverage? Visit metromile.com today or call 1.888.242.5204 to get a quote today. What Qualifies as a Hit and Run? 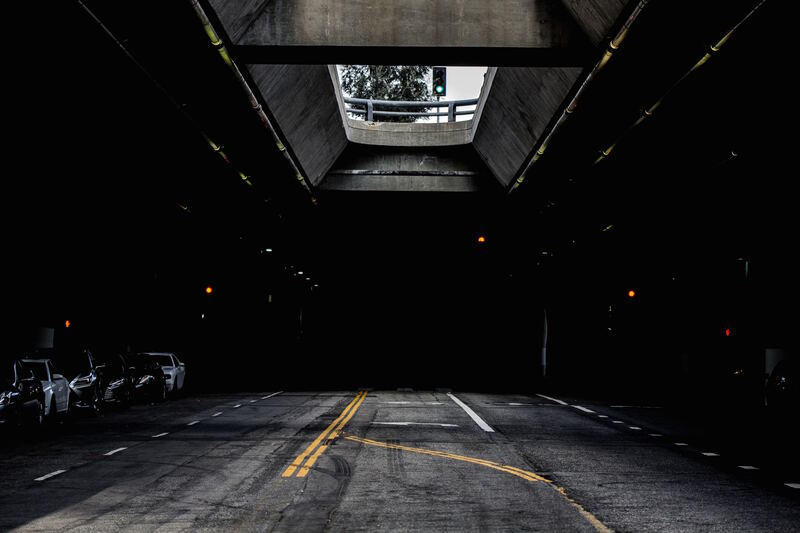 An accident qualifies as a hit and run if a driver intentionally flees the scene without providing the other party with their contact information. An example of this would be if another vehicle hits yours on the road and then speeds off or if a driver hits your parked car when it’s unattended and fails to leave behind their info. It’s understandable that a hit and run might leave you feeling frustrated and upset. The best thing you can do is try to remain calm and start collecting as much information as possible. The more facts you have about what happened, the more it will help your insurance company make a decision about your claim, and the more likely it is that the police will catch the driver responsible for the damage. 1. Try to gather as much information about the car that hit you as you can. If you were in your vehicle, do your best to recall details like the color, make and model of the car and the license plate number. 2. Survey the scene to locate any potential witnesses who may be able to help fill in the details. Be sure to get contact information for these people. 3. Before you leave the accident scene, take photos of the area, and be sure to immediately snap photos of your car, especially if there are traces of paint left behind from the other car. 4. Write down the time and location of the accident; if you were away from your parked car when the accident occurred, write down as much information as you can gather. 5. Call the police as soon as possible and file an accident report — even if the police can’t locate the responsible driver, the report serves as an official document that may help speed up the insurance claims process. Police reports must be submitted within 48-72 hours of an accident, so don’t wait to take this important step. 6. File an auto insurance claim. If you’re a Metromile customer, follow the Accident Checklist and assess the damage to your vehicle. Whatever you do, do not chase after a driver who hits you and leaves the scene. This may lead to another accident. Remain as calm as you can and follow the steps above instead. If you’re involved in a hit and run, or any accident, and you’re a Metromile customer, quickly and easily file a claim online or by calling 1.888.595.5485. Our team will help you get back on the road safely as soon as possible. Filing a car insurance claim doesn’t have to be intimidating. 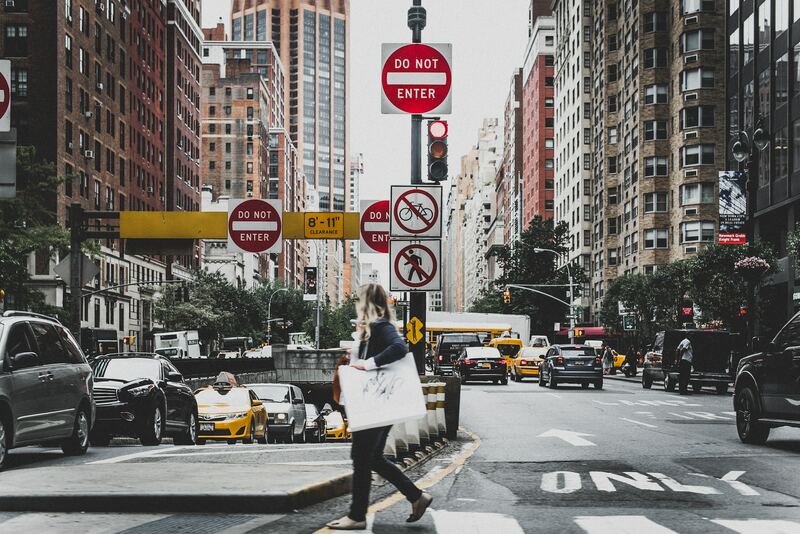 In fact, with Metromile’s step-by-step process, we will walk you through the steps to filing a claim and offer a simple solution to an often overly-complicated procedure. Whether you’ve experienced a hit-and-run, a minor fender bender sitch, or are in need of a quick glass repair, knowing what you should have prepared to file a claim can make for a seamless experience and get you back on the road faster. First, we need to know what type of claim you will be filing – roadside assistance, a glass and windshield claim, a hit-and-run claim, or a general claim. Knowing which type of claim will help us direct your claim to the right department. So, which types of claims fall into which categories? Pull up a chair and let’s chat. As we all know, cars can be somewhat unpredictable. If your car decides to break down at the worst possible time, Metromile has got your back! 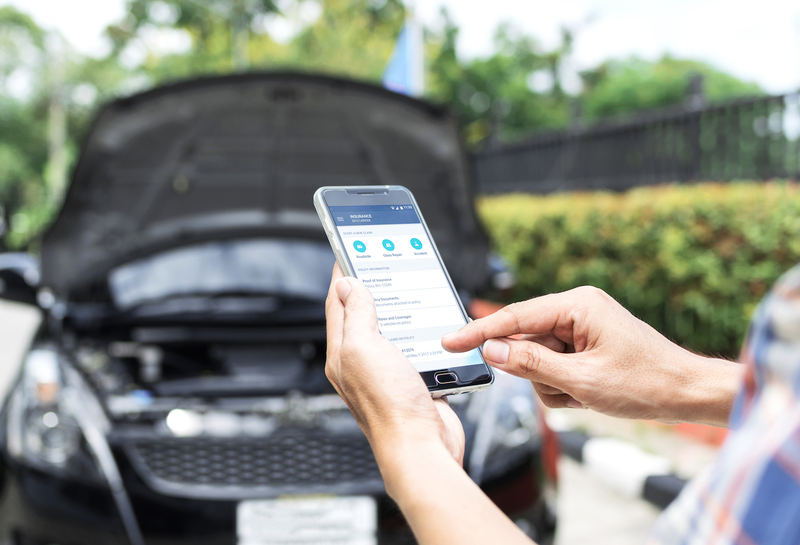 If your car breaks down on the road and you have elected Metromile Roadside Assistance coverage, you can submit an Online Roadside Assistance Request, file through the Metromile app, or call Metromile Roadside Assistance at 800-983-3400 to request service. Our Metromile Roadside Assistance team will make arrangements to assist you and also can provide an estimated time of arrival. Has an errant, high-velocity pebble taken a hit to your windshield? File a claim through Metromile’s Glass and Windshield claims center. If you need to file a claim for a broken window or windshield, and you have purchased comprehensive coverage, you can file a glass only claim online, file through the Metromile app, or call Metromile Glass Assistance at 888-256-8375 to report a claim. Metromile policyholders can always file a hit-and-run claim online or through the Metromile app 24/7 – or you can report a claim by calling (888) 595-5485. So, what now? After you’ve filed your claim through Metromile, here are some next action steps to take. The first thing you’ll need to get is a damage estimate. Your Metromile Claims Representative will be able to guide you through the repair process. In most situations, we’re able to complete an estimate from photos of the damage to your vehicle. HOWEVER. If you are not ready to repair your car, that’s okay too. Metromile does not require you to repair your car in order to submit a claim. When filing, just let your claims representative know that you aren’t ready to repair your car. In the case of a total loss, Metromile defers to the state rules regarding how to determine the value of your vehicle. If your vehicle is deemed a total loss (as outlined by your state rules), your policy remains in effect. You will need insurance for your rental car or temporary transportation while you shop for a replacement – however, we won’t charge you mileage while you’re shopping for a replacement vehicle. Once obtained, contact Metromile to add your replacement vehicle to your policy. With Metromile, you never have to wonder if your insurance company has your back, because we always will! Get a free quote today and join the Metromile fam – we’re always one call, tap, or click away. Be safe out there and see you on the roads! So You Got in an Accident… Now What? I once heard getting into a car accident compared to standing in the shower and suddenly realizing that you’re on one of those waterslides where the floor drops out from underneath you. While I cannot validate the validity of that comparison (I’ve never been in a car accident OR on one of those waterslides), I do know that the situation can be jarring, confusing, and disorienting – regardless of how the accident occurred. It’s important to feel prepared and in control, so here are our tips to handle an accident if it ever happens to you. Keep cool and quickly take stock of the situation. Are you injured? Is everyone else in the car okay? If so, move to a safe location to prevent further damage. If it’s not possible to move your car, turn on your hazard lights to alert other drivers of your position. Make sure your car is fully stopped (in park or with the emergency brake on, if you drive a manual transmission) before getting out of the vehicle. For your safety, check the mirrors to be sure that it’s safe to get out; if you carry items such as road flares or beacons, take them out and set them up as an extra precautionary measure. Check for injuries on both yourself and others involved. Were there passengers? Pedestrians or cyclists? Other drivers? If there is a chance that someone is seriously injured, call an ambulance right away. Also, when in doubt, alert the police of the incident – even if the accident was a minor fender bender. The police can be an invaluable resource in determining fault (if any). Let them be the objective judge to determine who is at fault for the collision. As an added tip, be polite, but do not tell anyone that you think the accident was your fault (even if you’re pretty sure that it was). Even saying “I’m sorry” can be construed as an admission of guilt in some circumstances. Be very careful about the information you give out to the other parties. Never give out your social security number, and never sign a document unless it’s for the police or your insurance company. Take photos and videos to document the scene. I remember back in the day before smartphones, it was recommended that you carry a disposable camera in the glovebox. Now we can just take all the pictures and videos with our phone! If your phone was damaged or lost in the crash, ask a bystander to take some photos and videos and email them to you. Note any skid marks, signs, lights, lane markings, road construction, line of sight – the more the better when it comes time to file that claim with your insurance company. Try to get a police report. Getting this information will make it much easier to file a claim with your insurance company. The officer’s opinion of the accident will be useful if you and the other driver(s) happen to have a dispute about who was to blame for the accident. The police report will also have the officer’s information on it in case the officer is needed to testify in court. Also, don’t ever leave the scene before an officer arrives. Leaving the scene before exchanging information and reporting it to law enforcement is considered a misdemeanor offense in some jurisdictions. Get yourself checked out by a doctor as soon as your start to experience any combination of these symptoms after your accident. It’s always better to be safe than sorry, especially with injuries that involve the spinal cord and neck. File a claim with your insurance company. With Metromile, it’s easy to file a claim and submit photos right through your phone! Be sure to include any and all information you received, including photos and a police report if you’re able to obtain it. 1. Keep cool and make sure your car is fully stopped before getting out. 2. Check if anyone in either car needs medical attention. If there are injuries, call 911 immediately. Move your car out of the flow of traffic if you can. 3. Report the accident to local authorities/police. 5. Take photos and videos of both cars, the driver, skid marks, signs, lights, lane markings, road construction, line of sight, etc. 6. Get a police report. 7. Go to the doctor right away. 8. File a claim with your insurance company. With the right preparation, accident day (and the horrible stressful feeling that comes with it) should only last for a second, and Metromile is here to help you through the process. If you are a pay-per-mile insurance customer and are in an accident, you can reach the Metromile claims team 24/7 at 888-215-9176. Whether you need help locating repair facilities or need an update on work being done, we can get you the information you need. We’ll do everything we can to get you back on the road as quickly and safely as possible! If you’re not already a Metromile customer, be sure to get a quick quote now! You may not associate shopping for car insurance with a high-stakes game of blackjack, but the truth is, both are a gamble. Picking the right policy is a game of risk: insurance carriers are constantly managing and mitigating unpredictable circumstances while policyholders are the ones actually living through the daily uncertainties of treacherous traffic jams, storms, and other hazardous road conditions. Life is risky enough; there’s no need to up the ante and play games when it comes to insurance coverage. That’s why we’ve created this guide to walk you through researching and buying the best car insurance policy for you. Factors that will affect your insurance cost and your overall insurability. How many tickets have you received lately? What’s your credit score? Is your car banged up? Have a teen driver in the family? All of these factors can and do affect your cost and insurability, so take stock of the important stuff and be prepared for it to shape your research. What’s your budget? Be realistic about what you can spend per month by creating a spending spreadsheet that clearly indicates where your money’s going, what’s a non-negotiable expense, and what could potentially get cut so you can get the best coverage possible. How do you use your car and how often do you use it? Do you commute hundreds of miles each week, or does your car sit parked on the street most days? The amount you’re actually using your vehicle-and what you’re using it for-should factor into your decision around how much to spend. What type of coverages are most important to you? 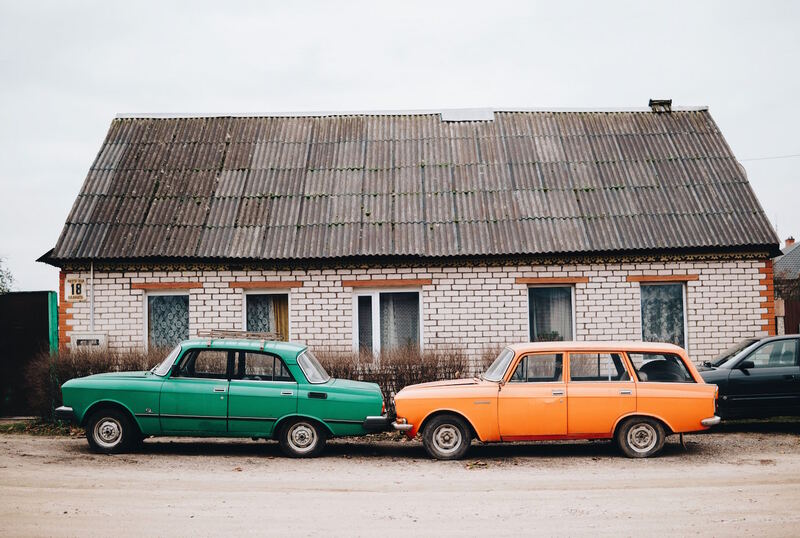 There’s no one-size-fits-all plan for every person; depending on where you live, what kinds of other insurance you have, the kind of car you drive, and more, the type of plan you choose will vary. Look for a reliable insurer. It’s important to go with a company that’s credible. Check your state’s insurance department website and read consumer reviews to get a sense of who’s legit. Friends and family are also great sources of information and experience. Offers the coverages you need. Not every insurer offers every type of plan. That’s why getting clear on your non-negotiables upfront is a critical time-saving step; if a company doesn’t offer the plan you need, move on. Compare policies and insurers. Take the time to visit different insurers’ websites and call for more information. Take solid notes and consider creating a spreadsheet that lists each insurer’s quotes. Comparing will help you find the best deal, so be sure to run the numbers on at least four or five different carriers and policies to have a bigger pool of contenders. One more major step in the buying process: be sure you’re covering all the legal bases and best practices. State Minimums. Each state has its own list of minimum insurance requirements, so be sure to check yours before signing up for a plan. Coverage recommendations. There are some general rules of thumb to follow when it comes to purchasing a policy, according to insurance experts. Do a bit of digging and talk to the pros at each company you’re considering signing up with. Remember: do your research, check your current coverages, and compare all your options before making a decision on a new car insurance policy. If you have any questions we are always happy to help at Metromile. Feel free to give us a call or get a quick quote now. It’s an inevitable risk of driving that no one likes to think about but many have to face: a car accident. Whether you’re behind the wheel or riding as a passenger, accidents can stressful, scary, and confusing. No matter who’s at fault, collisions can bring up a lot of questions, and it can be baffling to figure out if, when, and how to involve your insurance carrier. Luckily, there are simple guidelines that can help guide you through the decision-making process. Trying to handle an accident on your own can be risky. Even if the other party involved seems nice enough and offers to pay for damages out of pocket, there’s no way to verify their personal information or accountability without the intervention of an insurance carrier. In many scenarios, filing a claim will go a long way in protecting you and your wallet. Before you make any decisions, be sure to read and have a solid understanding of your policy-many policies state that you must notify the insurance company of any issues that may lead to a potential claim. You injure someone. Even if the person says they feel fine or that they’ll settle the situation privately, it’s important to notify your insurance carrier. The injuries may be far more serious than you realize, and can result in big medical bills down the road. You damage someone else’s car. Damage can sometimes be much more extensive than it seems at first glance-without involving your insurer, you could be on the hook for sky-high costs. It’s not immediately clear who’s at fault. If there’s any question at all about who’s to blame for the accident, then a claim is necessary. That way your insurance company can deal with the other party’s insurance company and save you the headache of divvying up costs. You accidentally do major damage to your own car.Any kind of accident, vandalization, or weather-related damage that results in hefty repair or medical bills requires a claim – even if no one else was involved (or you don’t know who the culprit was). You’ve been hit and run. Even if you don’t know the driver responsible, you can still file a claim with your own insurance company in the event of a hit and run. Depending on the type of coverage you have, you may qualify for some help with repair and medical costs, even if the other driver isn’t found. When there’s little to no damage to the other person’s car. If you just barely tap another car while attempting to parallel park, it’s probably not necessary to file a claim, but if you leave any mark whatsoever, you’ll likely need to trade personal information with the other party. When you can afford to fix it yourself. If you back into a pole or hit your own garage door, it’s unfortunate, but not necessarily claim-worthy. If you’re totally sure the minor ding won’t result in any lasting issues, you’re probably better off paying the money out of pocket to avoid an increase in your coverage rate. The bottom line is that It’s risky to handle an accident on your own. Your insurance company is there to have your back in situations just like these. Ready to switch to a more affordable carrier? Metromile may be the perfect fit- get a free quote today and see how much you could be saving.